We don’t make a lot of pleas with our readers but please watch this video for the sake of shelter puppies and adult dogs. 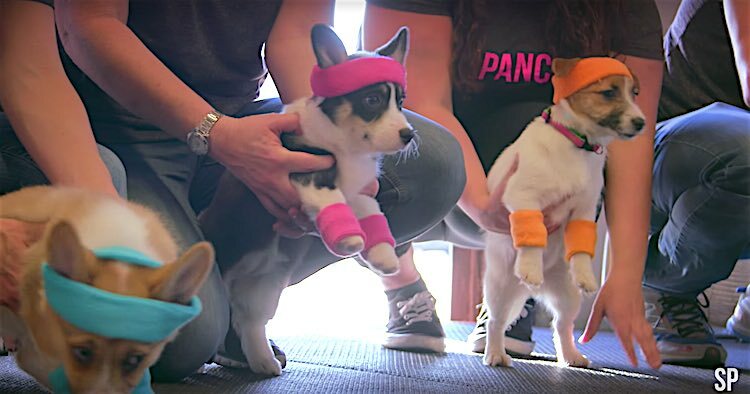 SoulPancake and Puppy Chow have teamed up to share the #PowerofPuppies at a preschool, retirement home, and gym to transform an otherwise ordinary day. For every single view of this video Puppy Chow will donate one pound of Puppy Chow Natural to Rescue Bank®. We promise the Puppy Chow video is full of plenty of adorable moments, just like this one. The company will donate up to 500,000 pounds through April 23, 2016. Share this post on Facebook with your friends so they can watch the video and help puppies in need.